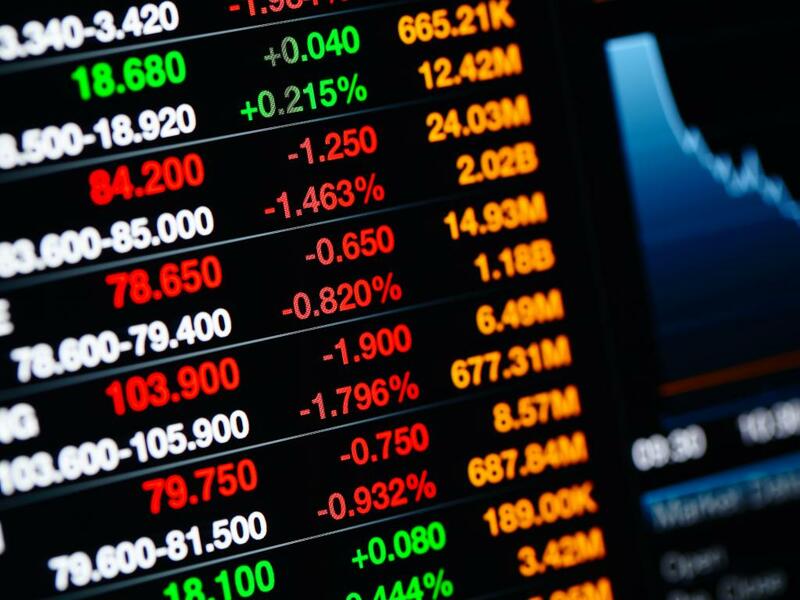 Following the market opening Thursday, the Dow traded down 0.22 percent to 16,465.69 while the NASDAQ tumbled 0.36 percent to 4,112.12. The S&P also fell, dropping 0.26 percent to 1,870.56. Utilities shares gained around 0.38 percent in trading on Thursday. Top gainers in the sector included Korea Electric Power (NYSE: KEP), Empresa Distribuidora y Comercializadora Norte SA (NYSE: EDN), and Atlas Energy LP (NYSE: ATLS). In trading on Thursday, healthcare shares were relative laggards, down on the day by about 0.92 percent. Top decliners in the sector included Clearfield (NASDAQ: CLFD), off 16.2 percent, and Quidel (NASDAQ: QDEL), down 13.9 percent. General Motors Co (NYSE: GM) reported better-than-expected first-quarter earnings. GM's quarterly profit slipped to $100 million, or $0.06 per share, versus a year-ago profit of $900 million, or $0.58 per share. Its revenue climbed to $37.4 billion versus $36.9 billion. However, analysts were estimating earnings of $0.03 per share on revenue of $37.44 billion. Zimmer Holdings (NYSE: ZMH) shares shot up 15.35 percent to $105.49 after the company announced its plans to acquire Biomet in a cash and stock transaction valued at around $13.35 billion. Shares of Apple (NASDAQ: AAPL) got a boost, shooting up 7.47 percent to $563.94 after the company reported stronger-than-expected fiscal second-quarter results and announced a 7-for-1 stock split. The company also lifted its buyback plan to $90 billion from $60 billion. Apple's quarterly profit surged to $10.2 billion, or $11.62 per share, versus a year-ago profit of $9.5 billion, or $10.09 per share. Its revenue also climbed to $45.6 billion versus $43.6 billion. Lam Research (NASDAQ: LRCX) shares were also up, gaining 7.46 percent to $56.15 after the company reported upbeat quarterly earnings. Shares of Quidel (NASDAQ: QDEL) were 13.29 percent to $20.74 after the company reported Q1 earnings of $0.08 per share on revenue of $46.70 million. Tsakos Energy Navigation (NYSE: TNP) shares tumbled 12.34 percent to $7.32 after the company priced public offering of 11 million common shares at $7.30 per share. In commodity news, oil traded up 0.27 percent to $101.71, while gold traded down 0.84 percent to $1,273.80. Silver traded down 1.37 percent Thursday to $19.20, while copper rose 1.04 percent to $3.07. European shares were mostly lower today. 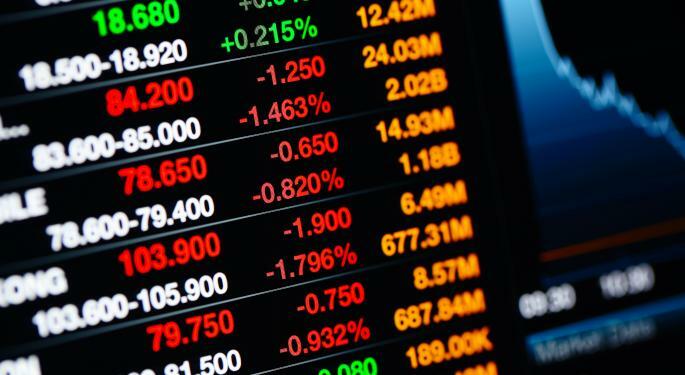 The Spanish Ibex Index dropped 0.45 percent, while Italy's FTSE MIB Index fell 0.11 percent. Meanwhile, the German DAX dropped 1.13 percent and the French CAC 40 fell 0.09 percent while U.K. shares climbed 0.02 percent. US jobless claims rose 24,000 to 329,000 in the week ended April 19, versus a revised 305,000 in the earlier week. However, economists were projecting claims to reach 315,000 in the week. Orders for durable goods surged 2.6% in March, versus economists' expectations for a 2% gain. The Kansas City Fed manufacturing index for April will be released at 11:00 a.m. ET. The Treasury will also auction 7-year notes.